How is it possible that the largest accommodations provider in the world isn’t a hotel and doesn’t even own a hotel or housing? Marriot is the world largest hotel, yet it has fewer rooms available that Airbnb. That is right Airbnb, which doesn’t own a single room it rents out, is the largest accommodations provider in the world. So, how can you make money with Airbnb? Well keep reading this and I will give you some tips and ways you can make some money in this Airbnb review. It is a middleman for people who have space to rent out for temporary housing and people who want to rent temporary accommodations. If you have an extra room, going on vacation, or have an extended business trip, then you might consider renting out that space. This is where Airbnb can help. You can turn on and off your rental space whenever you want to do so. Why not utilize it when you are out of town a bit for some extra cash. You can even rent another property for that family vacation or business trip. Many times, people prefer to stay in something that reminds them more of their homes. This would be a better option than a hotel. I myself have stayed in Airbnb’s throughout the world and prefer to use them over hotels. You will want to keep both the interior and exterior of your location in pristine condition. Clients will rate you on their overall experience. Cleanliness is one of the highest factors. This includes setting up an LLC, get business insurance, set up a business bank account, any necessary permits, set up a simple website and social media, register for taxes, and brand your business. This is all to protect yourself when running a business out of your home. Once you get a guest make sure they have everything they could possibly need to make their stay more enjoyable. This can include local maps, event calendars, restaurant locations, delivery phone numbers, and other amenities. Always ask your guests if there is anything they would like to see done differently in future stays. Cheapest is not always best, nor is the most expensive. You want to check in your local area for rates of other places. You may have huge fluctuations in seasons and tied to specific events. So, you will want to stay on top of what is happening locally. Try to make sure that what you are offering is a good deal for both the renter and you. How Do You Get Started with Airbnb? It is easy to get started. Go straight to their website and click on the “Become a Host”, then simply go through the process as outlined on the site. Once you get everything set up, make sure you have a good description, a fair price, and great photos! The make sure your description is unique to your location. Let them also know what to expect. This will help with your ratings and overall booking. How Much Can You Make with Airbnb? I wish I could give you a hard number, but really there are so many factors that you have to base it on including the location and what other places are available. You can rent out a room or the entire house, just depending on what you have available. 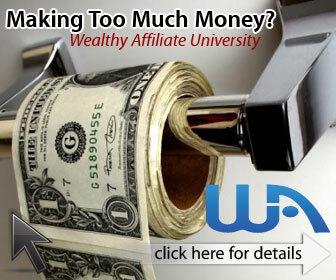 You will see numbers from $200 a month to $10,000 a month but more than 50% of hosts make over $500 a month. This is one of those cases I have absolutely no affiliation with Airbnb. I love using them when I travel. If you have a place where you can rent out a room or the entire place it might be something you could consider to make some extra money from your home. Just makes sure you follow all the ordinances in your area. There are other ways you can earn money from home in a more passive way. You can check out my top recommendation to learn how to do just that. If you have enjoyed my review of Airbnb and how to make money from renting your place, please leave a comment below. Have you hosted for Airbnb, please leave your experiences below.